As per the Oxford dictionary, snoring is a snorting or grunting sound in a person’s breathing while they are asleep. This activity happens because it is linked to your lifestyle and it is very much important to solve and if you want to resolve this dreaded issue then here are some of the simple solutions which can bring out the end to your snores. Being overweight can lead to having bulky throat muscles which can lead to snoring. The fat tissue around your neck area compresses the air passage and prevents the air flow in and out freely throughout your body. If this is the cause, then neck exercises will help. For people with snoring issues, lying on their back can further aggravate it. It is advisable to sleep on your side rather than your back. It is observed that while sleeping on your backside, your tongue, chin and any excess fatty tissue under your chin can relax and squash your air passage. Hence, sleeping on your side can prevent this. It is advised to avoid the consumption of hard drinks before going to bed. Hard drinks or alcohol make your muscles relax more than usual during a night’s sleep. It also encourages the back of your throat to collapse as you inhale, which causes snoring. So, therefore, avoid having hard drinks before going to your bed. Saying no to smoke can help to lessen your snoring activity. Basically, smoking so frequently causes an irritation in the thin lining of your sensory organs like nose and throat, also it causes swelling and inflammation. This means airflow is reduced and you’re likely to snore more. 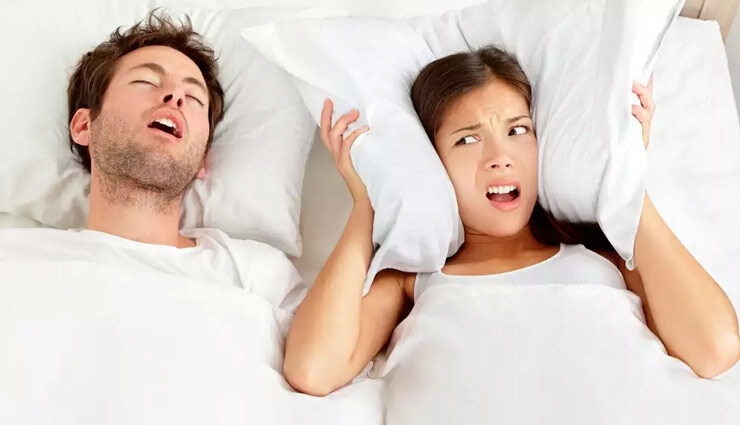 To put a complete full stop on your snoring activity, it is recommended to keep up your nose and throat clear by all the allergies by using a nasal spray or by some medications as prescribed by your family doctor. Also, you can use the non-snoring devices which can reduce your snores completely.